On The Occasion Of Independence Day Big Bazaar Is Coming Back With 5 Days Mahabachat Sale In Which Users Can Avail Great Discount & Offers On Every Products. This Time Maha Bachat Is Also Available Online At Big Bazaar. There Are Great Discounts, In Addition To That There Will Be Discount For food products,fabrics,furniture and home appliances. Other Cashback Offers Will Be Updated Soon. 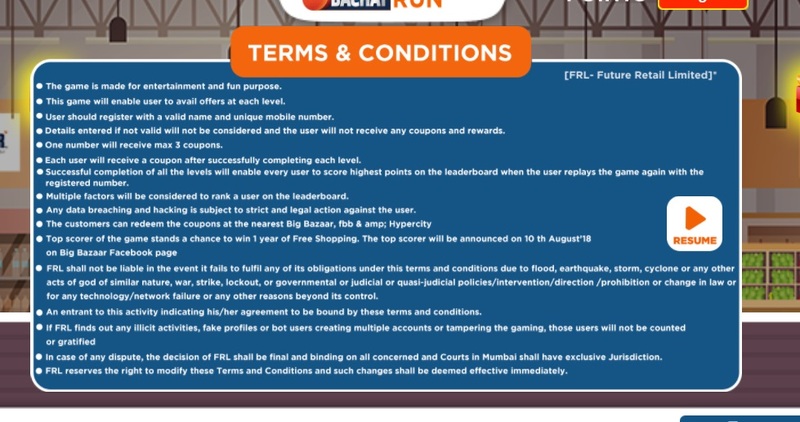 How To get Free Rs 150 Discount Coupon From Big Bazaar?? 4. Buy Rs 1000 worth Fashion & Accessories. 5. Show the code to the cashier to avail for your instant cashback of Rs. 150.